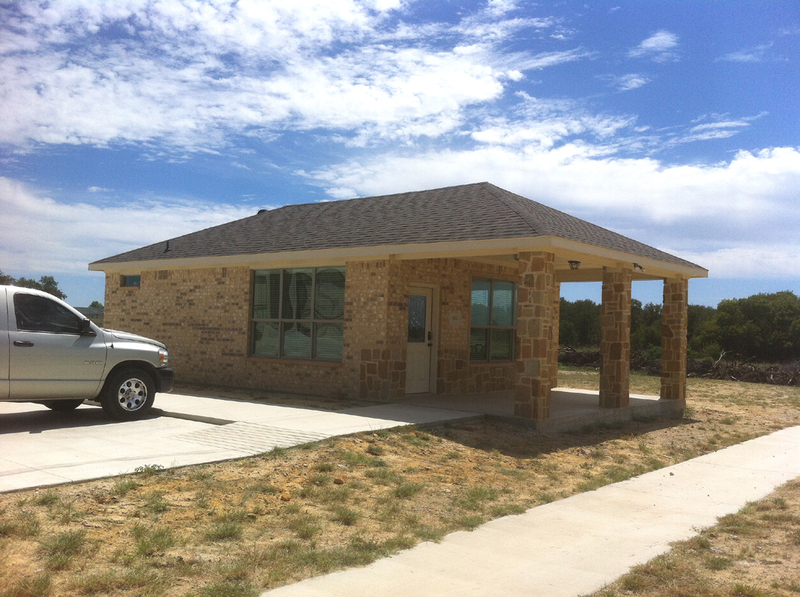 Arlington Airport Executive Offices For Lease, Arlington Municipal Airport (KGKY), Four offices, his/her restrooms, kitchen private reception. 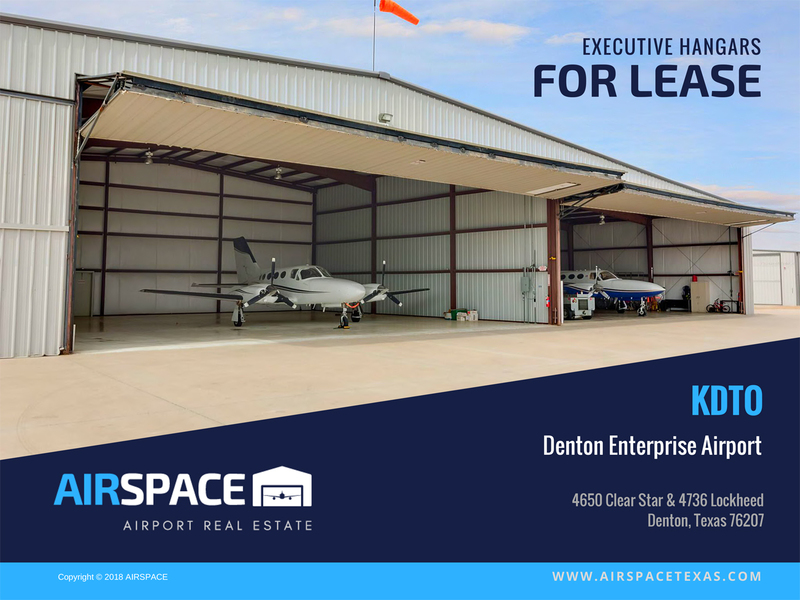 Please click here for more details and floor plan: Airport office space for lease Arlington Airport, (KGKY) Dallas – Ft. Worth, Texas – for more details and pictures. 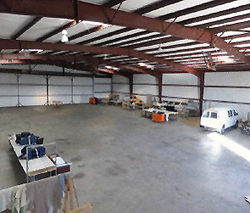 70' x 70' Executive / corporate hangars for lease at Lancaster Airport - rent month-to-month or yearly. 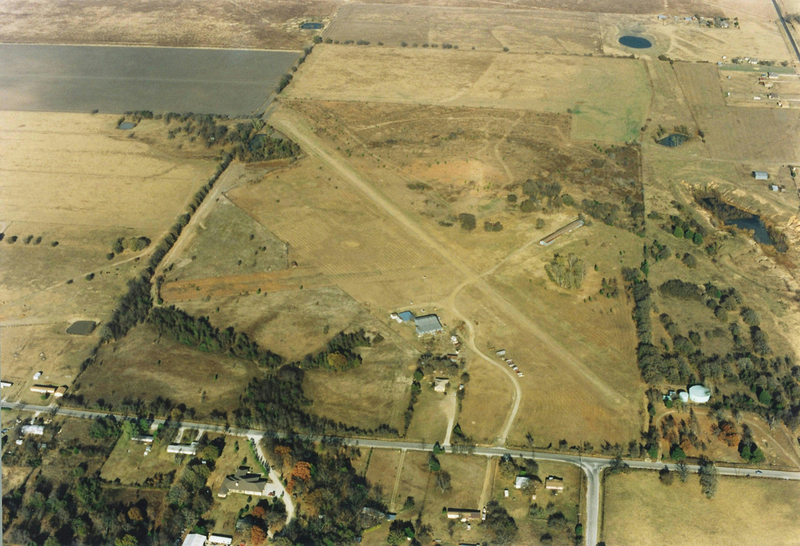 Paved runway - 6,500' with NDB & GPS approaches, CAF DFW Wing cafe nearby on airport. Click Here - Hangar 880 - for more details and photos. 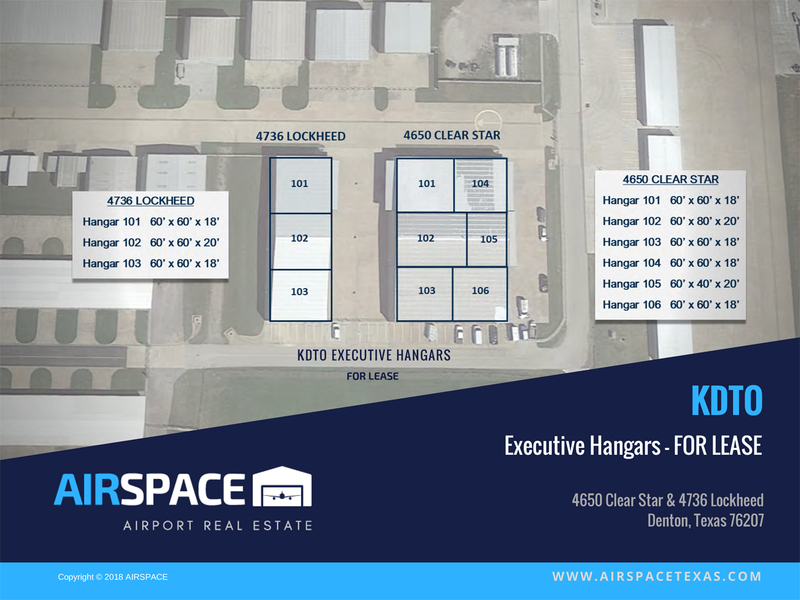 4650 Clear Star – 4736 Lockheed - Executive Hangars for Lease Denton Enterprise Airport, Denton Texas 76207 (KDTO). 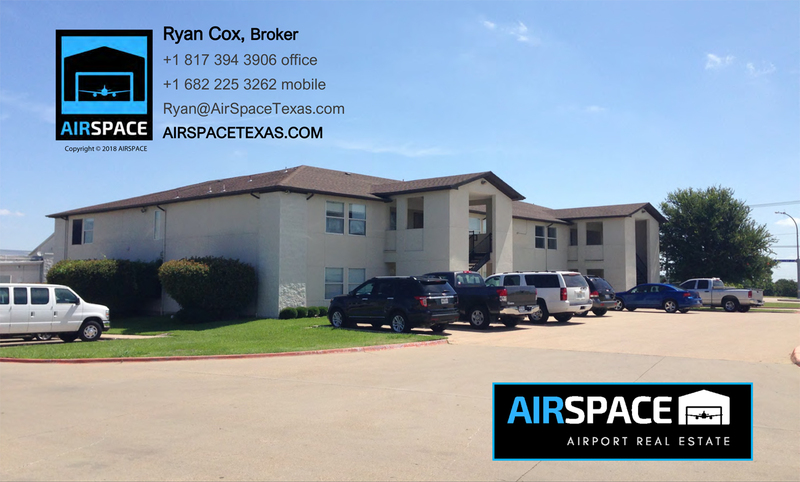 Great location with easy access to Ft. Worth Central Business District (“CBD”), Dallas CBD, Plano CBD, and the Texas Motor Speedway (15 minutes). 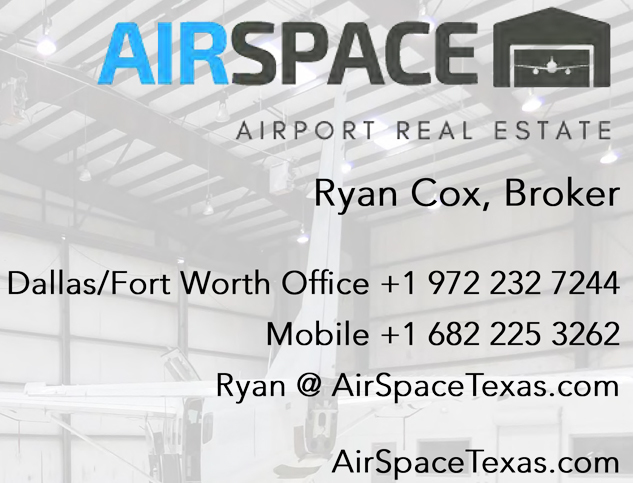 Gated access and ample parking; 60’ x 60’ and 60’ x 40’ hangars for lease, with 17’ & 19’ clear height, with motorized bi-fold doors; widths are 58’ or 60’. Most hangars have offices. 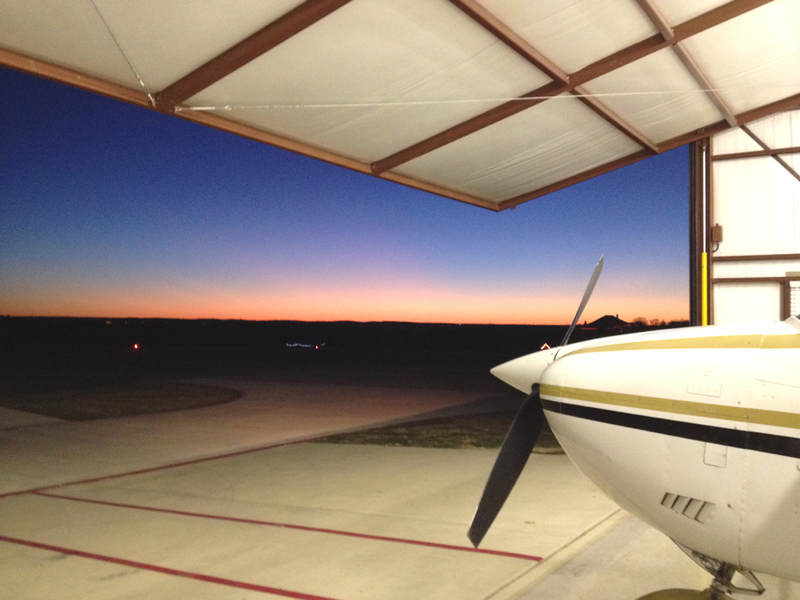 7,000’ paved lighted runway with instrument approaches. 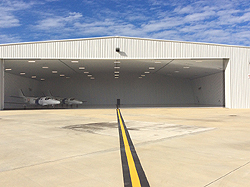 Electric Bi-Fold Hangar Doors, 480-V Three Phase Electric, Secure Electronic Gated Entrance, Dedicated Auto Parking. 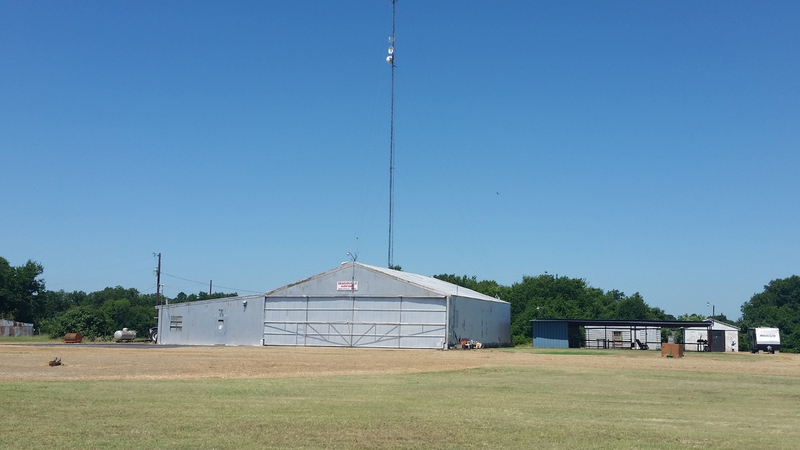 Hangars & enclosed T-Hangars for lease at NW Regional Airport [52F]. 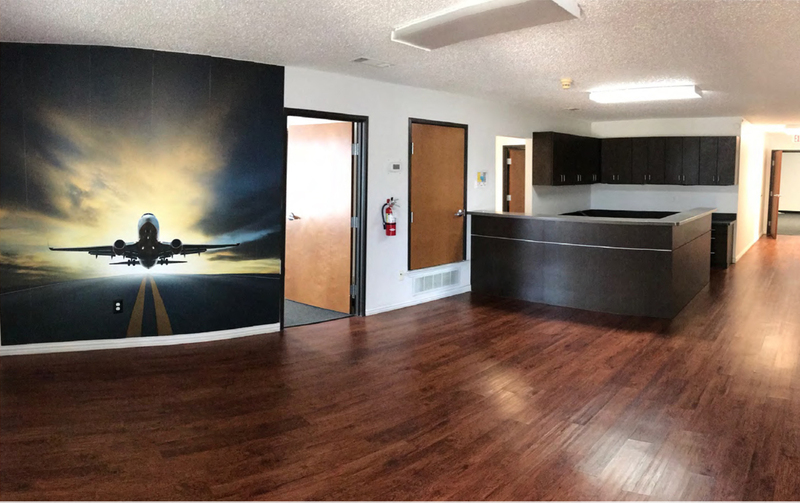 Paved runway and taxiways, and cafe with great food. Availability varies, so call for current list: Peyton at 214-263-5072.